Therapist and Client: A Relational Approach to Psychotherapy provides a guide to the fundamental interpersonal elements of the therapeutic relationship that make it the most effective factor in therapy. 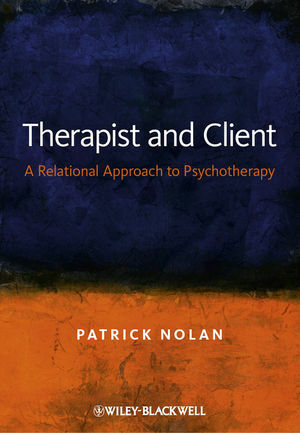 Patrick Nolan is a Psychotherapist and the Director of the Irish Institute for Integrated Psychotherapy. He is co-author of Object Relations and Integrative Psychotherapy: Tradition and Innovation in Theory and Practice (2002) and has written about integrative, psychoanalytic and body psychotherapy in numerous publications.